4 Reasons to Avoid Waiting to Address Windscreen Repairs - Muscle Cars Zone! Each year, car owners spend hundreds of dollars on repair and maintenance procedures like windscreen repairs. Failing to provide a vehicle with the care it deserves can lead to lots of damage over time. 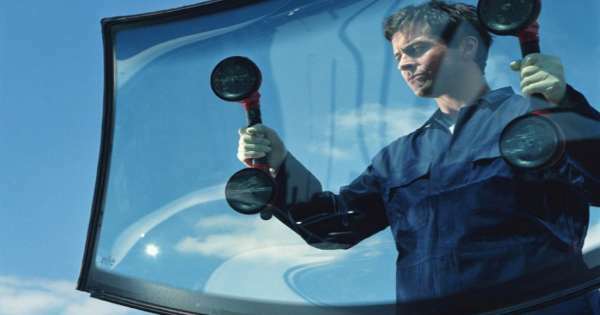 One of the most important and commonly neglected parts of any vehicle is the windscreen. Without a functional windscreen, it will be nearly impossible to drive a vehicle safely. Rocks and other road debris can hit a windscreen and cause it to crack. When faced with this type of windscreen repair issue, time is definitely of the essence. The following are some of the reasons why you need to avoid procrastinating when it comes to fixing your broken windscreen. While a tiny nick or crack in your windscreen may not seem like a big deal, it most certainly is. If left unattended, these issues will get much worse. Often times, smaller cracks will grow larger if they are not fixed in a timely manner. This means that damage that could have been fixed with a simple repair technique will be more complex to address. In some instances, a windscreen may be so damaged that is has to be replaced completely. Instead of waiting to get a small windscreen problem fixed, you can save yourself a lot of stress and money by getting it fixed in a hurry. Staying safe while behind the wheel should be one of your main concerns. If the windscreen on your vehicle is completely cracked, it will make it difficult for you to see oncoming traffic. The last thing you want is to wreck your car due to problems with limited visibility. While you will have to pay professionals to fix your windscreen problems, it is worth the investment. A professional will be able to diagnose and fix these problems quickly and correctly. Attempting to do this complicated work on your own will only make matters worse. A windscreen that has multiple cracks will be unstable at best. Every time your car hits a bump or comes to a sudden stop, it may lead to the cracked windscreen collapsing. Instead of playing Russian roulette with your windscreen damage, you need to find a professional to fix it immediately. The longer you wait to get this work done, the higher the risk will become of you or your passengers getting injured. If the cracks in your windscreen are significant, a professional will probably suggest you get it completely replaced. The price you pay for this new windshield will be worth it considering the increased amount of safety it provides. One of the main problems car owners don`t think about when dealing with a crack in the windscreen is the accumulation of dust and debris. Not only does this lead to the crack being harder to fix, it can make it more noticeable as well. In some instances, a small crack can be impossible to fix if a windscreen repair company is unable to completely remove the dust buildup. The best way to avoid this issue is by getting the damage fixed as soon as you notice it. Some people use the excuse that they can`t leave work long enough to get their broken windscreen fixed. Since most windscreen repair companies offer mobile services, you will not have to leave work to get the damage addressed. Before hiring a company to repair a damaged windscreen, be sure to find out more about their level of experience. Hiring a company with a great deal of experience will help to ensure this work is done correctly.